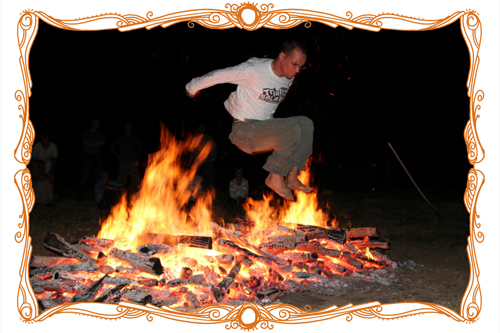 Firewalking is a proven development tool that helps people discover and unleash their inner potential. In a very direct sense, it is a clear cut demonstration of personal power. Because of the under-challenging nature of our everyday world, most people become very limited by their common belief system (not religious beliefs) about what is possible, and what is not possible for them. Their true potential is never discovered. In the act of Firewalking you learn to discover your magnificence, and regain your self-esteem by experiencing your personal power, and thus come closer to your true nature. We created a complex training program that is both professional and personal with a sense of family and joy. We work with tools that evoke strong emotions, and bring fundamental insights, that have a long-lasting effect opening new horizons of self-discovery. We help people shift paradigms, overcome old dysfunctional behaviours, and learn to discover a more fulfilling and harmonic life far beyond the scope of work, or any working environment. Going through this process of self-discovery in a group, also has a very strong bonding effect, helping people feel safe and belonging, as a collective conviction is there to support every individual in their attempt to walk across the fire. Based on scientific research, our intellectual and mental capabilities are strongly related to using our “whole brain”. This means we need to learn to harmonize the way we use both hemispheres of our brain by establishing and developing multiple connections between the two sides. Firewalking is a proven method that enhances and facilitates right brain activity, which is responsible for emotional intelligence, visual interpreting and creativity. Our culture is dominated by left-side brain activity which is responsible for logic and reason, a limitation by itself when not connected to the right hemisphere that imagines and inspires. An average person only uses about 5-10% of its brain capacity, so there is plenty of room here for exploration. Firewalking takes you to a new realm of first-hand experience about what your brain can do for you. 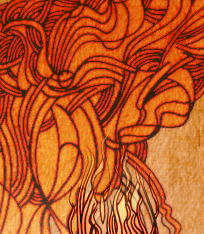 Through firewalking you can learn to experience “fire-immunity” the yet unexplained phenomenon of extreme heat-resistance, that is clearly due to some exhilarated brain-activity. Firewalking provides solid proof, that our mind is able to control bodily reactions to mere physical impact, disclosing latent or unused capabilities in human behavior. By allowing our right-hemisphere to become stimulated through this experience, many people account for increased creativity, better thinking, and an undying feeling of inspiration for life and living following their firewalk. 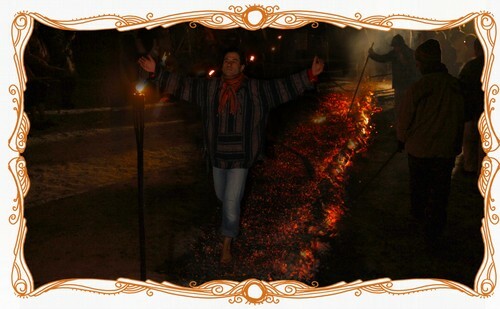 It is proven that firewalking stimulates people to an extreme, and they leave feeling overjoyed, fulfilled and elated. This can be used as a successful cure for states of light depression or fatigue. A magic cure for people with mid-life crisis or burnout syndrome. . Many people miss great opportunities, or lucky turns of life, because they don’t know how to pay attention, or they don’t have the right inner power to act, or the power to change, or are simply afraid of the challenges that change brings about. Many people think too often that well-known territories and well-accustomed behaviors equal self-confidence, because you play on home ground. Many people never leave this box of conformity, and thus draw the boundaries of their playground too narrow for later life-perspectives. 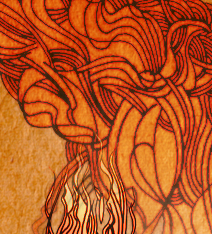 Firewalking teaches you how to see beyond the walls of your thinking box. It shows you that some of your capabilities lie outside this box, but within manageable reach. The first-hand experience of increased performance is worth every effort, and the experience of walking on fire speaks for itself. It leaves such a positive imprint on your thinking that you will only ever look onto yourself as someone strong and magnificent. As such it helps people develop self-confidence, and self-esteem for a lifetime. Many times we ourselves are the biggest hindrances for progress in our own lives: our bad habits, destructive routines, our negative preconceptions, limiting self-beliefs. Many people don’t believe in the possibility to change their lives’ circumstances, take their destiny into their own hands. Many people don’t even dream of any opportunity to arise, to change their lives for the better. They end up in the self-destructive patterns of smoking, drinking, staying-in and watching TV every day, etc. poisoning both the mind, the spirit and the body. Our thought-patterns of being just ordinary or average becomes a fixation, and people end up burrying themselves in the feeling of plain mediocrity with hardly wanting to live. People end up wasting years or even decades of their lives never wanting a real life, so they indulge in problems that they learn to escalate to a magnitude where they seem to become all-prevailing and significant. Sadly, the “I have a problem, therefore I am.” became the new philosophy of our times. One important aim and proven effect of our firewalking program, is that we help people let go of their problems, and learn how to live a life with ease. By teaching people how to let their problems burn away with the pyre, we help people demolish their personal blockages, barriers to their self- development. 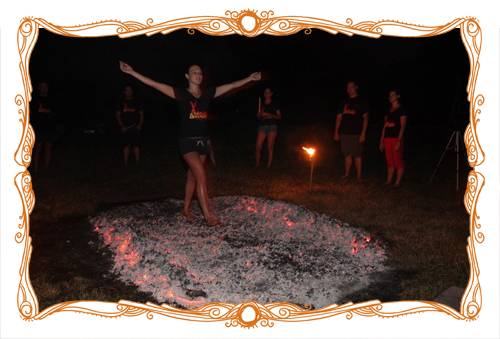 Firewalking thus enables people to live a more healthy and balanced life. Many people may often experience that they are unable to solve problems in an efficient and long-lasting manner, because they lack concentration and the power to focus on the right one thing at a time. The long ordeal of unsuccessful problem-solving can lead to the feeling of monotony and boredom that also restrain performance, and can lead to a complete block. We teach methods in our firewalking program that increases the ability to concentrate, and this increased ability can result in measurable boost in performance whether in work, learning, or private life. Most people generate many of their problems themselves, by not making decisions at the right time, when and how it is needed. They just let things drift out of control, hoping that things will sort themselves out. As many people often do not notice, or do not pay attention to how the world changes around them, they postpone the need to react, and when the need to act comes, it comes unprepared. 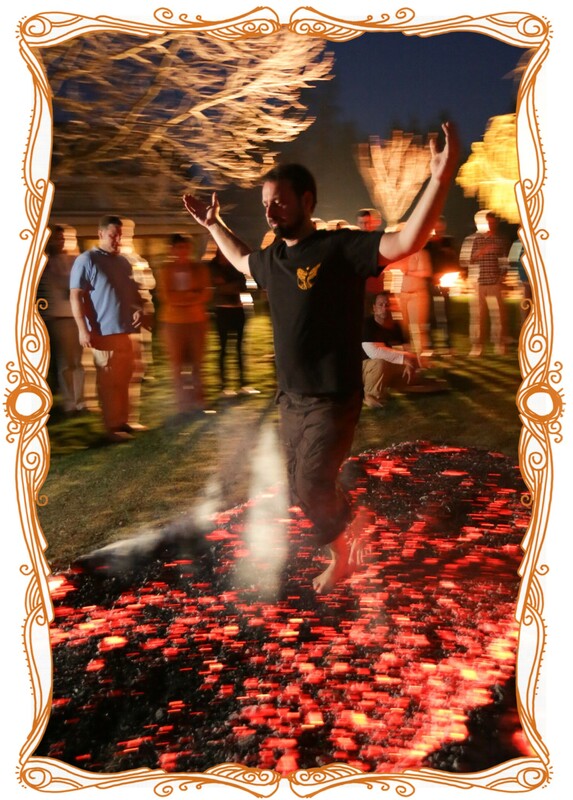 Firewalking also brings the whole world into focus, with the roles, ambitions, aims and goals people play in the world. It helps people get closer to justifying their decisions, or to help them learn to assess what decisions are truly important and which are not. What decisions are right and what are wrong. Also it prepares people to make those decisions in real life. Firewalking teaches people, how to make the right decisions, and how to carry those out without any insecurity, or doubt. Life is regarded by many as a game of safety: they bet on both red and black, even and uneven numbers, and then put the blame on the outcome, the mere fate of luck. Many people are victims of their circumstances, simply because they do not clarify their true intentions, and thus they have no clear purpose, aim or goal in life. 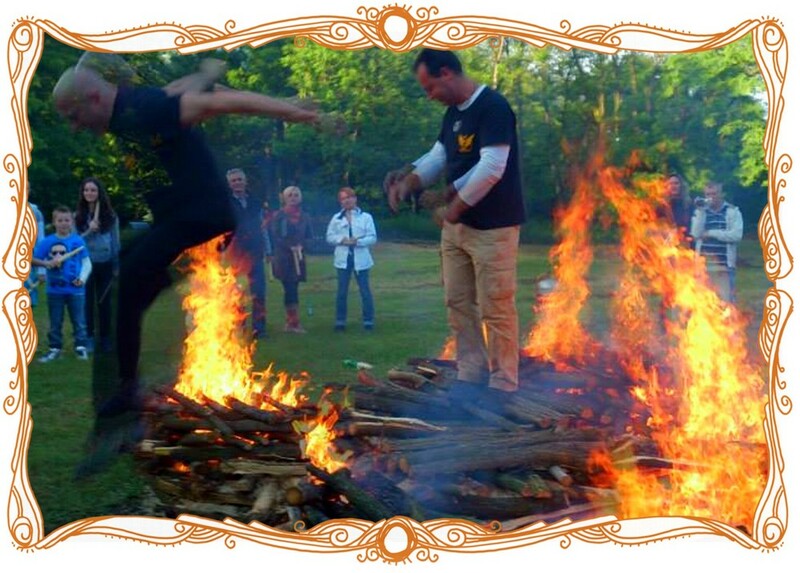 Through firewalking you gain first-hand experience of what potential power you have inside of you. You discover that you are powerful and that you can use your power to take your destiny into your own hands. 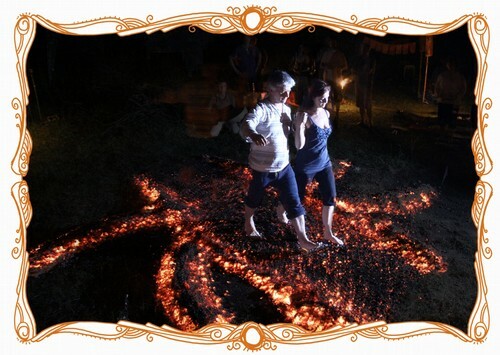 Firewalking thus enables you to evaluate and clarify your dreams, hopes, desires, and to set a much clearer goal that is worthy of your true self and spirit. Something you feel strong enough to walk into the fire for. Firewalking is recommended for any community or corporation where individuals need to learn to respect and support one another to reach a common goal or success. 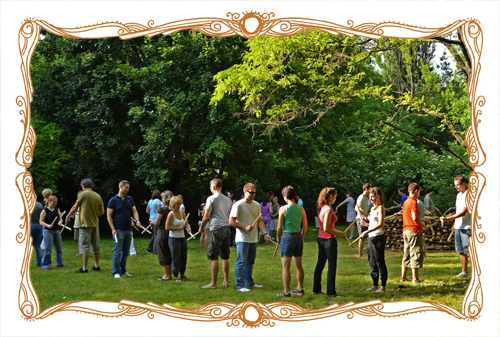 Since firewalking is a real challenge with a lot of mental paradigms to shift to a different level, how a community or a group of people addresses that challenge is a tremendous learning experience for every member involved. Through firewalking people learn to help and one another, by providing emotional and mental support rather than just practical help. This really increases emotional engagement towards each other, a corporate entity, or a common purpose. This tool really helps to transform just a group into a real team, where Together Everybody Achieves More.